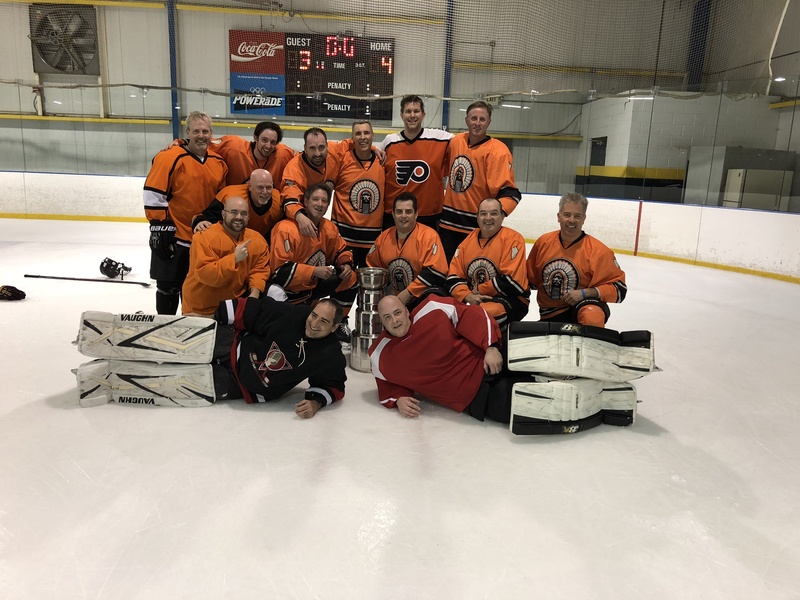 The IceForum Adult Ice Hockey League continues to grow every year. 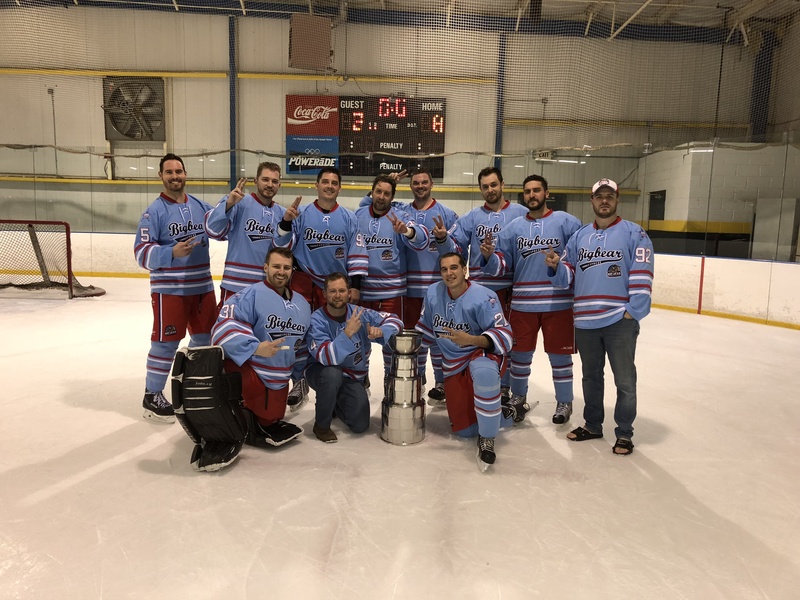 Whether you are an experienced hockey player, haven't picked up a stick in 10 years, or are just learning how to ice skate, the Town Center Adult League has a team for you with a Beginner/Novice C Level, Intermediate B Level, and Competitive A level. Not only is ice hockey the most exhilarating adult league recreational activity, it provides the best exercise on the planet! IMPORTANT UPDATE: The current season has already started and will last 12 games and go thru the approx the middle of October. There is no date for next evaluations since rink is moving. Will post when information is available. the cost for the evaluations are $20 plus league fees or half of league fees are due at the evaluations. Days and Times: Games can be played on any day of the week. The times also vary, but the average start time is around 9:00 P.M.
ALL GAMES ARE PLAYED AT TOWN CENTER ICE FORUM. CONGRATULATIONS TO THE Fall 2017-18 DIVISIONAL WINNERS!!! 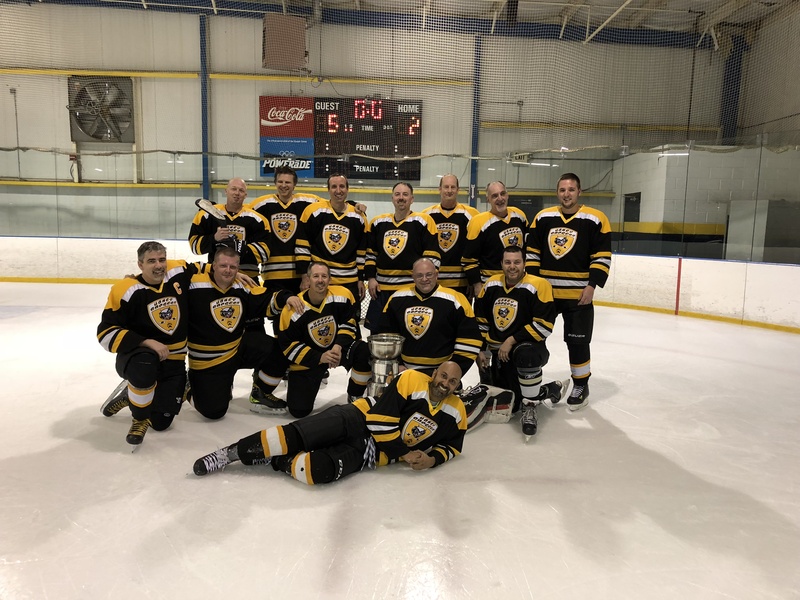 If you are wanting to try to join in the existing league, please contact Mike Raymond at (678) 402-5227 or icemenraymond@gmail.com. Evaluations for players new to the league will be held at the Kennesaw Ice Forum will be held at some point in the future. The league is moving to new rink and not sure when next season will start . THIS IS MANDATORY!! The cost is $20. Please email Mike Raymond if you plan to attend. Currently the season fee payment of $336 is required at time of evaluations/draft once you are drafted to a team that night. IF YOU MISS EVALUATIONS, YOU ARE REQUIRED TO EMAIL MIKE RAYMOND PRIOR TO ANY REGISTRATION OF ANY KIND - NO REFUNDS IF YOU REGISTER WITHOUT EVALS AND PRIOR APPROVAL. The next season start date is unknown. Check back for updates.. 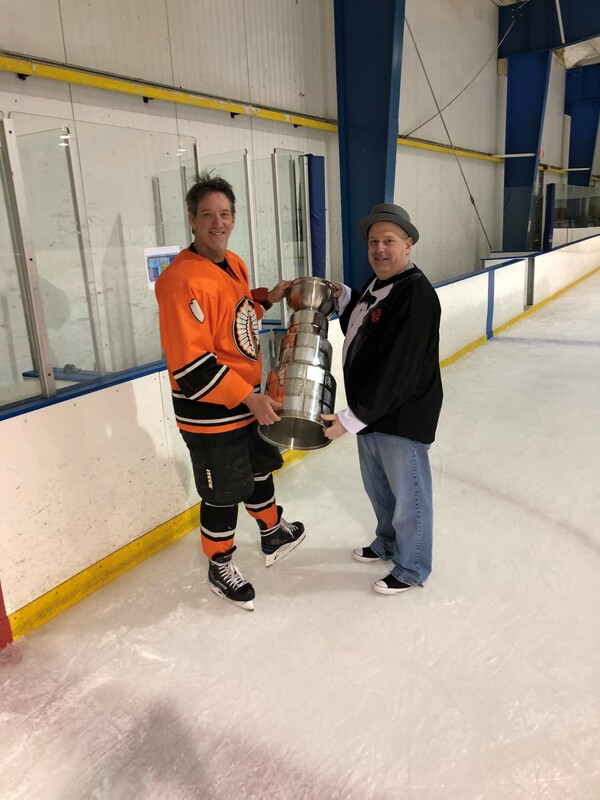 If you have any questions, please contact (prefer email) the Adult Hockey Commissioner, Mike Raymond @ 678-402-5227 or .